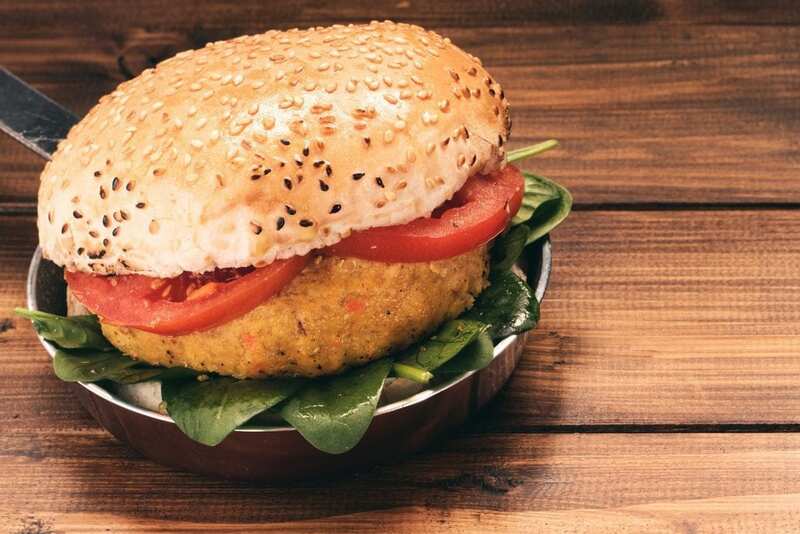 Who doesn’t love to tuck into a tasty veggie burger? A delectable treat to be enjoyed every now and again, the benefits of enjoying a vegetarian feast are many. 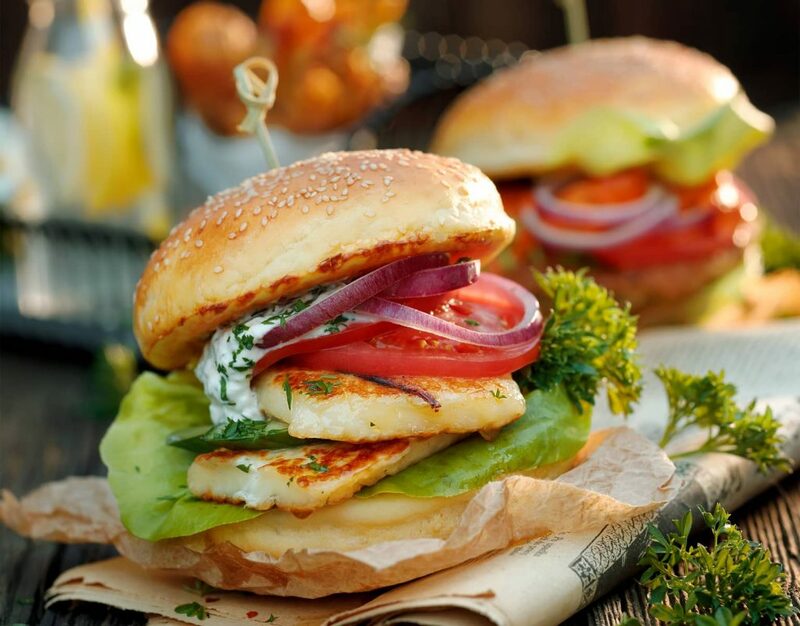 Veggie burgers are easy to make, lower in saturated fat and higher in fibre than their meat containing counterparts. They’re a great all-round convenience food for the whole family, and they’re perfect served with crispy fries. What’s not to love? 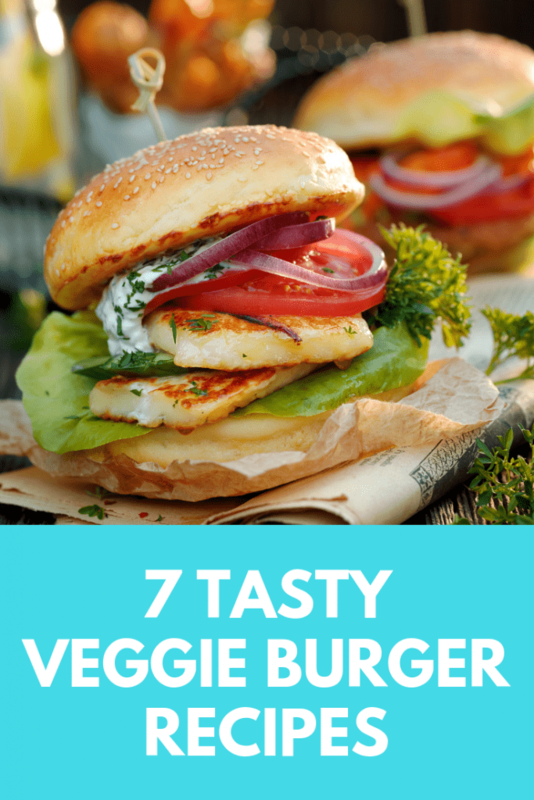 Here are 7 tasty veggie burger recipes to try. Mash one tin (400g) of black beans with a fork or masher until they are nice and thick. Chop and add in some garlic, onion and pepper and mix these well into the mashed beans. In a bowl stir together an egg, some chilli powder and some cumin. Then add this mixture to the mashed beans along with 50g of breadcrumbs. Mix up until the burger is firm and held together. Divide the mixture into two large burgers or four smaller ones. Oven bake for around 10 mins per side at 190c. Sauté some diced white onion and garlic in oil until the onions are soft. Add some green onions, cumin, then the chopped mushrooms and cook for 5 minutes. Set your onion and mushroom mixture aside. Next, use a fork or potato masher and mash the beans. In a bowl, combine the mashed beans with the onion and mushroom mixture and add a dash of parsley, salt, and pepper. Shape the mixture into patties about one inch thick. Cook each patty in oil for around 3 minutes on each side. Choose half a container of tofu that is well pressed and drained, gently mash it into small crumbles in a bowl. Add three diced onions, two tbsp each of wheatgerm, flour, garlic powder and soy sauce. Then add a dash of pepper into the bowl along with the tofu and mix well. Next, gently form the tofu mixture into patties, pressing everything together to form round patties about 1-inch thick. Fry patties in oil in a large skillet until lightly golden brown and crisp, approx. 5 to 6 minutes per side. Heat a dash of oil in a pan and cook a chopped onion over a low heat until soft. Add a few dashes of paprika and place to the side. Next, place 400g of chickpeas in a food processor and mix until they are mashed and add into a mixing bowl. Finely chop 450g beetroot and add to the chickpeas with the onion mixture and add a sprinkle of parsley. Mix well, then form into patties and refrigerate for 15 minutes. Heat some oil in a frying pan and cook the burgers for approx. 3-4 minutes on each side until ready. Fry an onion and garlic for ten minutes until soft, then add some spices and cook for another minute. Remove from the heat. Mash the chickpeas in a blender with the spicy onion mix and season with pepper and salt. 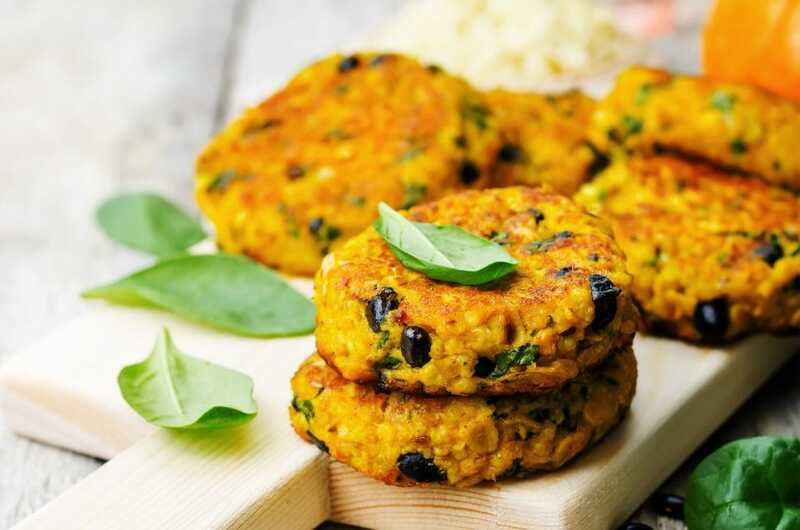 Make the mixture into firm patties and set aside in the fridge until you are ready to cook. Then fry the burgers on both sides until cooked through. Dish out approx. 50g of raw cashews on a baking tray and bake for 3–4 minutes until browned and then finely chop. Cook chopped onion in oil for 5 minutes or until softened, then add garlic and cook until tender. Place 250g of canned lentils into a food processor until thoroughly mashed. Then add the lentils, onion mixture, cashews and 40g of breadcrumbs in a large bowl. Mix well and shape the mix into burgers, then place on a plate and cover and refrigerate for approx. two hours. Coat your burgers in flour and then cook patties for 3–4 minutes each side. Slice 450g of halloumi cheese into 1 cm pieces then place halloumi pieces in a griddle and cook for around 2 minutes each side until charred lines start to appear. Set aside. Add some oil to the pan and add some tomato. Then add a sprinkle of salt and black pepper and serve in a brioche bun with vegetable garnish.